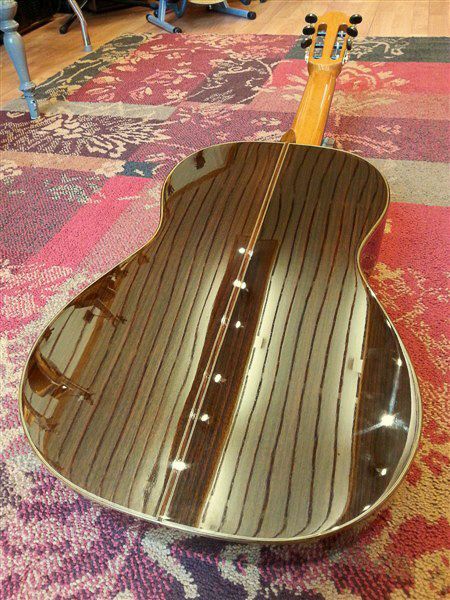 All Solid Handcrafted Martinez Custom Shop model. 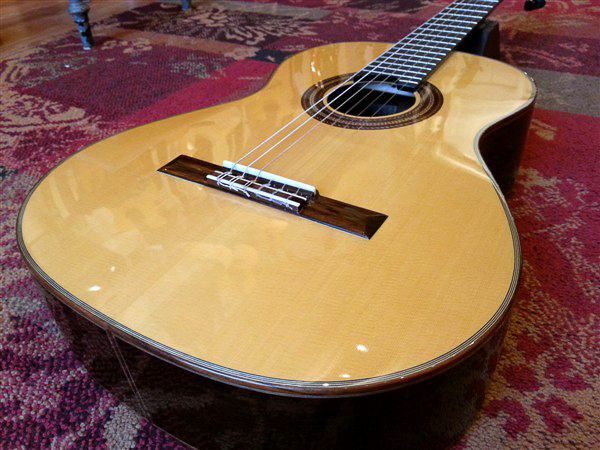 Engelmann Spruce top and Indian Rosewood back & sides. 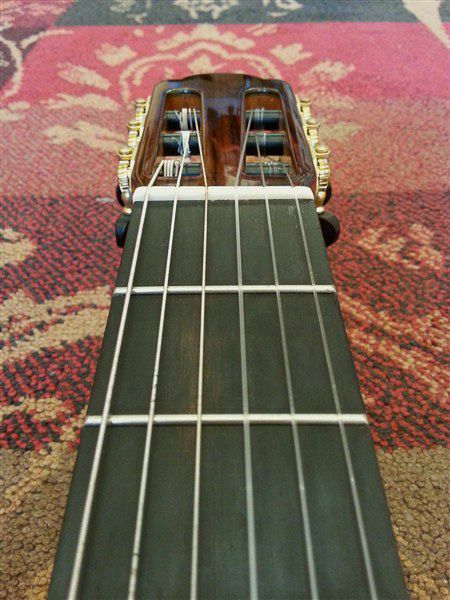 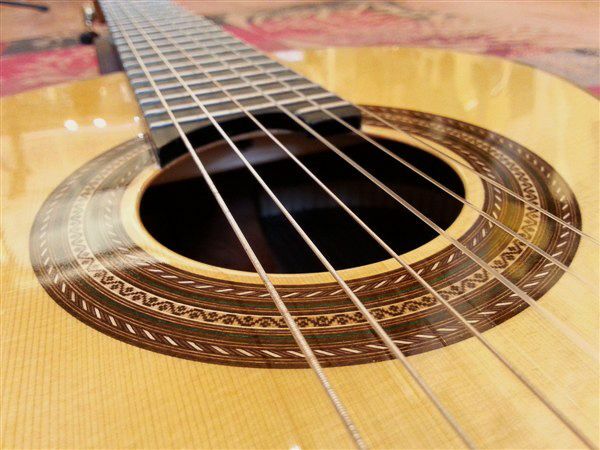 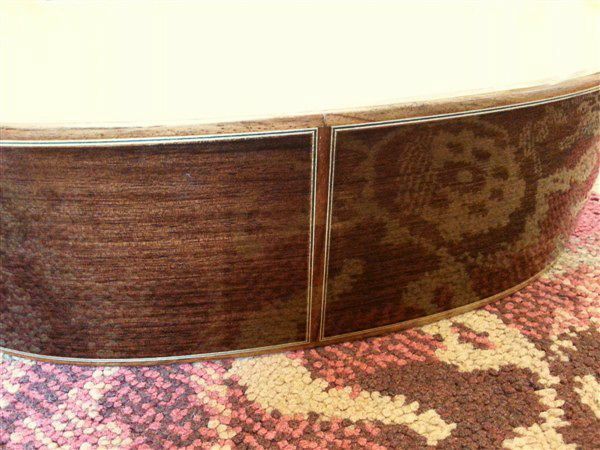 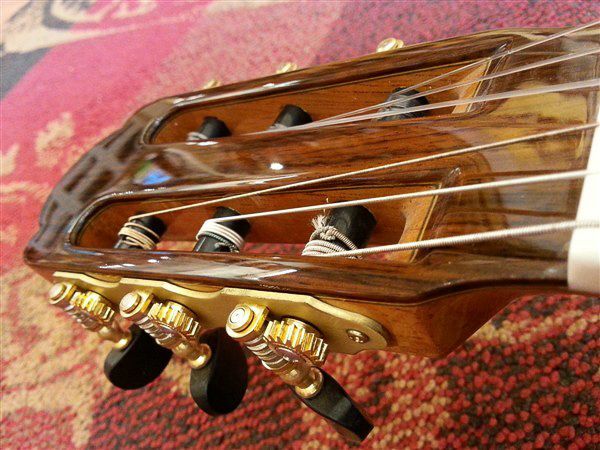 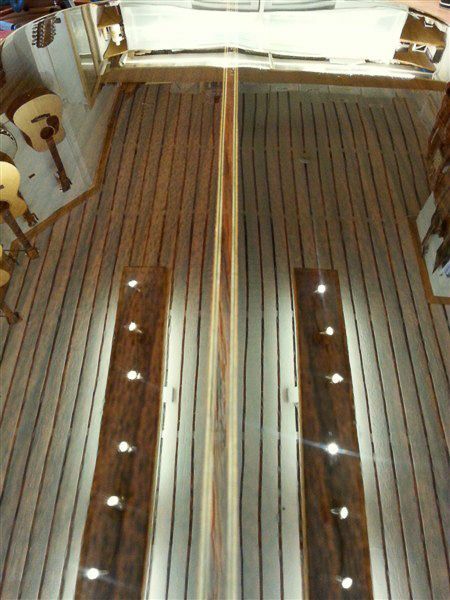 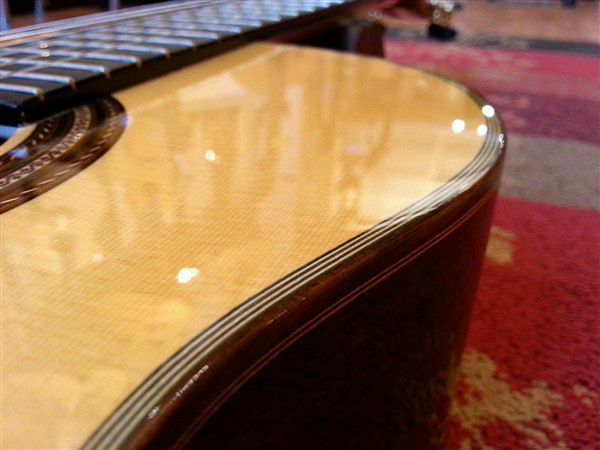 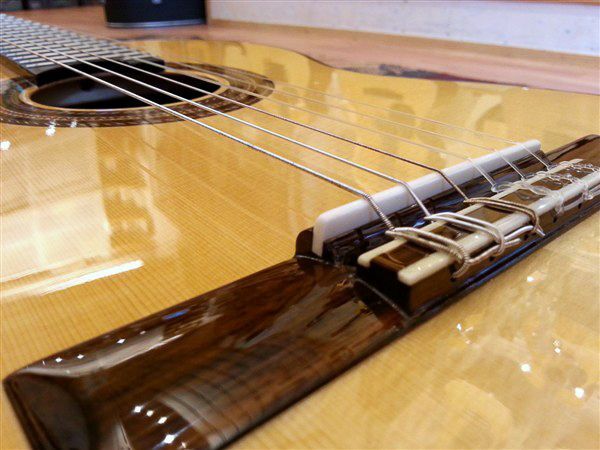 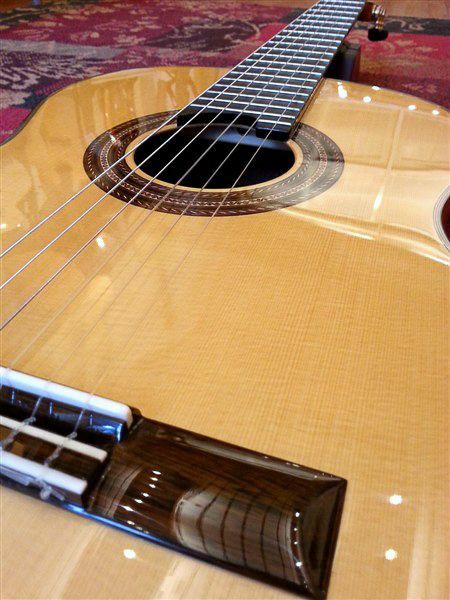 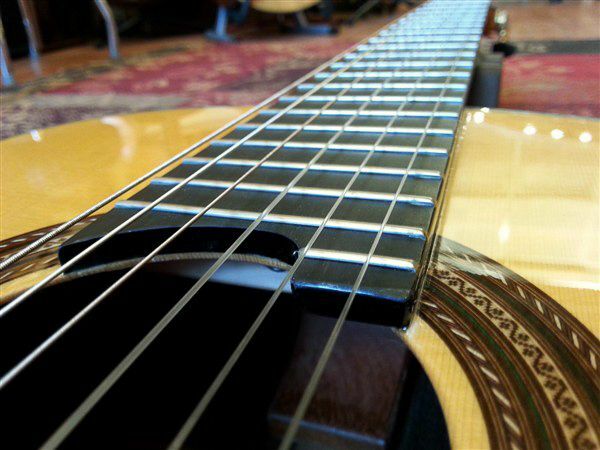 The Martinez Custom Shop guitars have a very comfortable neck because a trussrod is installed. 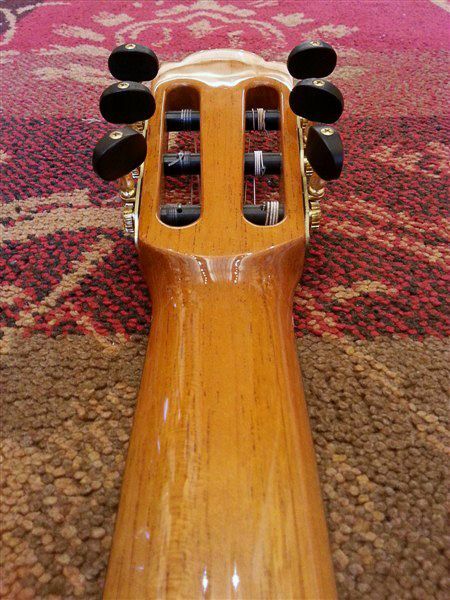 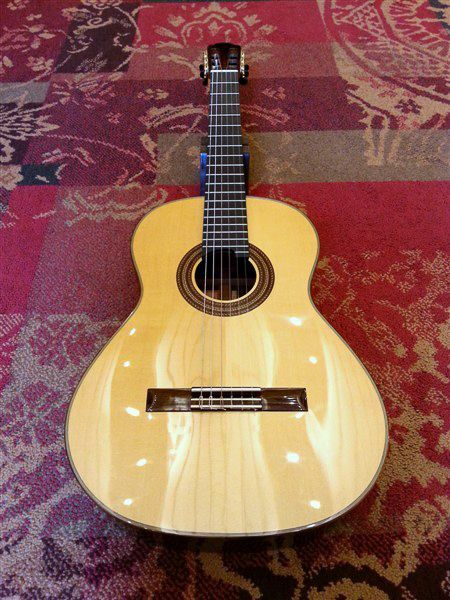 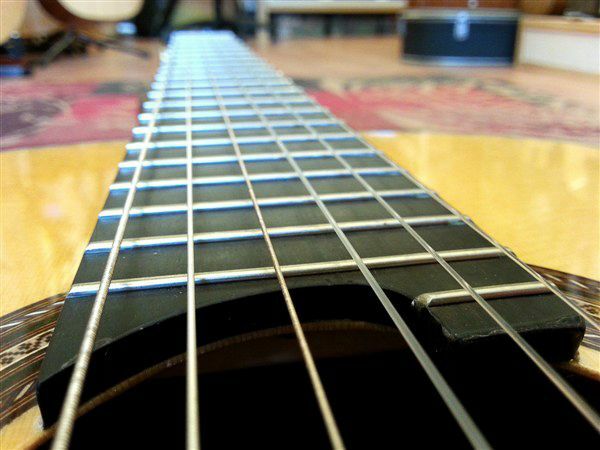 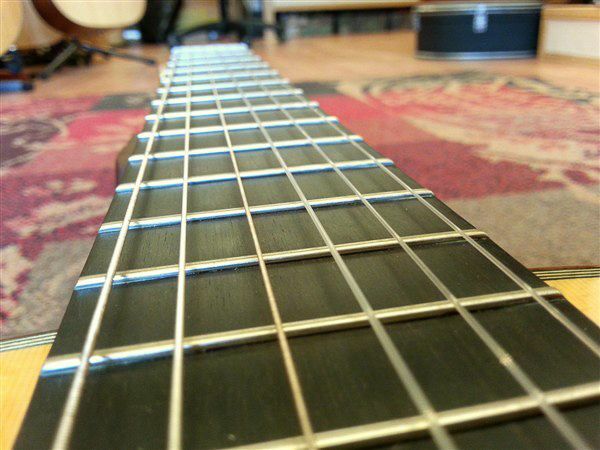 Therefore thue chunkyness you find on more traditionally made nylon stringed guitars is gone. 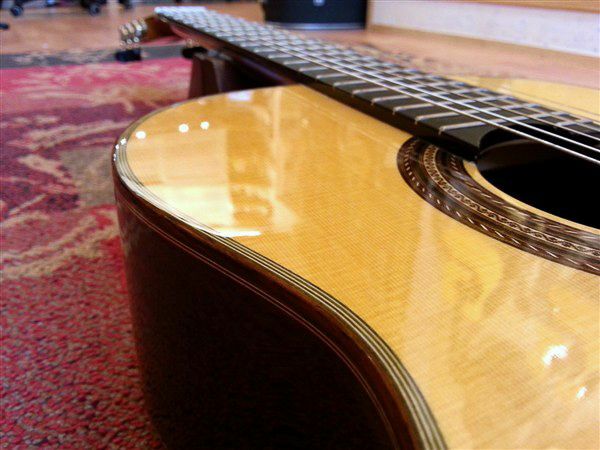 This guitar has much projection and clarity, and the Ebony fingerboard only adds to the overtones and acoustic timbre of this Guitar.